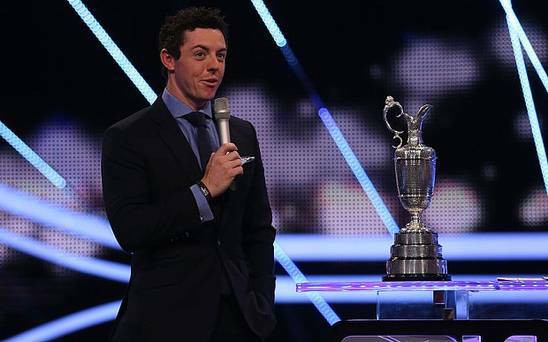 Rory McIlroy’s unparalleled sporting achievements and friendly personality should have made him a certainty to be crowned the BBC’s 2014 Sports Personality Of The Year (SPOTY) at last night’s Award Show in Glasgow. To win two Major Championships in succession, to name just his main achievements this year, and not win is astonishing to me. What was equally surprising was the number and share of votes cast. Of the 620,932 votes cast – which doesn’t appear to be that many when one considers the millions watching on TV – Hamilton secured 209,920 (33.8%) with McIlroy ‘only’ receiving 123,745 (19.9%). This was therefore not a close contest between the two outstanding candidates. 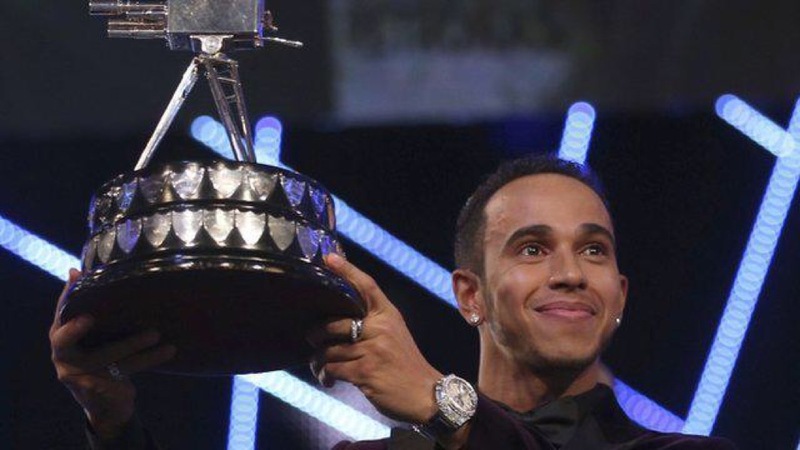 I do not wish to ignore the achievements of the winner Lewis Hamilton who is clearly a superb racing driver – albeit one in my eyes without a particularly endearing personality. His decision to turn up with Roscoe his dog on the night and the inappropriate plug for his girlfriend Nicole Scherzinger’s new musical being indicative of his lack of self-awareness. This year, as is often the case in Formula 1 (F1), he clearly benefitted from a superior Mercedes car and as such his competition was essentially limited to his ‘team mate’, Nico Rosberg. If Lewis had won the F1 World Championship driving a Marussia or Sauber car then perhaps there may have been a discussion to be had. It was essentially his or Nico’s to lose from the first race. So why didn’t the British public vote for Rory and what does this say about the SPOTY Award and more importantly golf in the United Kingdom ? The whole debacle has raised a number of questions. 1) Why didn’t the British public vote for Lewis rather than Rory despite knowing the former had a technological edge over all but one of his very small number of competitors ? 2) Why didn’t they appreciate the magnitude of Rory’s achievements and the level of competition he faced, which were exceptional to anyone that knows golf and sport ? 3) Could or should the BBC have done more to emphasise the extraordinary achievements of Rory in their golf summary ? Should the UK golfing community have shouted more about the exceptional year Rory has had ? Is golf’s PR good enough ? 4) Did complacency set in. I voted for Rory but how many golf fans watching didn’t bother ? The golfing fraternity has been enraged today but could we all have done more to whip up the votes last night ? 5) Does the timing of the SPOTY awards play in to the hands of other sports. F1 certainly appears to have out performed most sports over the years. The F1 season reaches its climax just a few weeks before the show whereas the Major Championships in golf are all done and dusted by August. 6) Does the voting options of phones and online suit the younger generation and therefore more fashionable sports like F1 ? Is this further evidence of golf becoming an older person’s retirement sport ? 7) Is the vote indicative of a game in real decline in the UK with golf club membership levels falling and the various authorities struggling to turn the tide ? Is this another wake up call ? Is golf fast becoming a minority sport in the UK ? 8) Is the lack of golf on terrestrial TV a problem ? Sky’s coverage is superb but if no one is watching then interest and ultimately participation must start to decline. F1 despite selling their full rights to Sky has still retained a good foothold on the BBC too. I called for the R&A to sell The Open rights to Sky as soon as possible after the result last night but this may ultimately prove counter-productive in the long-term. 9) Should the British public be left to decide matters such as SPOTY or would a judging panel supported by a public voting process ensure some proper quality control ? It is of course easy (and unfair) to blame the general public for their ignorance but the fact that Paul McGinley was golf’s only SPOTY winner on the night, in a category that frankly he isn’t in any way qualified for, suggests that using a judging panel may also not be the answer. 10) Has the SPOTY award passed its sell by date ? The BBC has next to no sports coverage nowadays and therefore increasingly struggles to showcase it. The segment on cycling and the Tour de France’s Le Grande Departe – arguably the sporting highlight of 2014 – was pitiful last night. Doesn’t British sport deserve something better than this increasingly dated programme ? 12) Is it time for Sky – now the real home of UK Sports broadcasting – to come up with a more compelling and credible award / show, whose recipients can stand up to the toughest scrutiny ? Rory generously appears to have taken the defeat on the chin but who would blame him if he made his excuses next time a SPOTY invite comes his way. I wouldn’t. Thanks to all who voted for me! Congrats to all the candidates and especially @LewisHamilton, thoroughly deserved and a worthy winner! In summary a lot of questions but not too many answers. If golf can produce a superb role model like Rory McIlroy and he has a stellar year but still misses out on the top SPOTY award one has to assume something is wrong somewhere. Here’s hoping McIlroy adds this minor setback – after all he is not short of awards this year – to his motivational armoury for the 2015 season and well and truly shows the wider British public just how good he is.